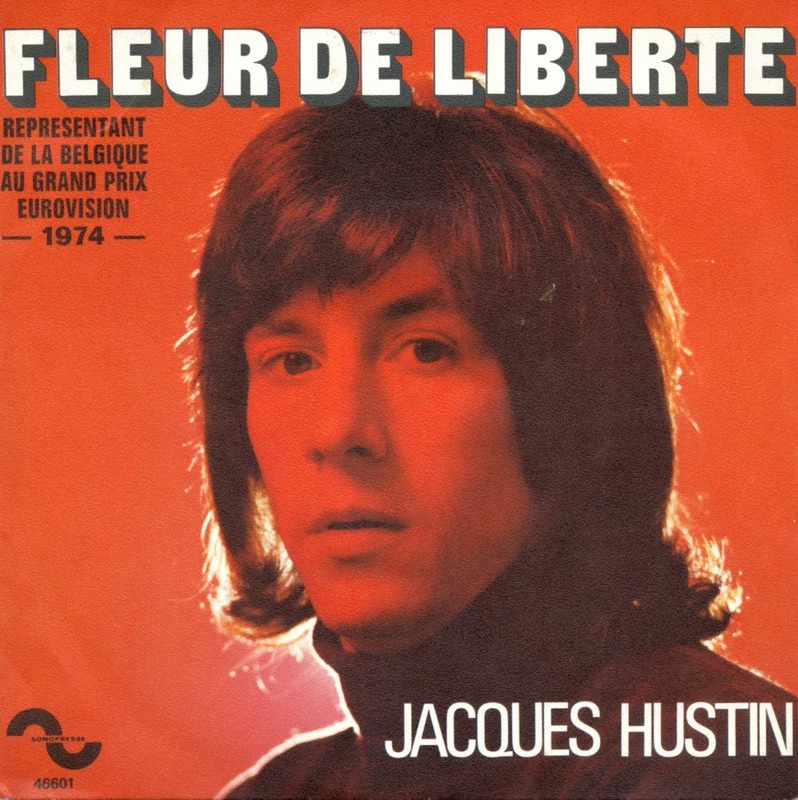 Jacques Hustin (15 March 1940 – 6 April 2009) was a Belgian singer-songwriter and artist who was successful in his homeland in both fields, and is best known internationally for his participation in the 1974 Eurovision Song Contest. He participated with his self-penned song 'Fleur de liberté' in Brighton. In a very competitive contest (featuring Abba, Olivia Newton-John and Gigliola Cinquetti among others) he ended up in ninth place out of 17 competitors. Please note: Divshare has been defunct for over a month now, and it looks like it won't be resolved any time soon. I haven't found a good alternative for streaming music in a player, so I guess I won't be able to let you hear these singles. If you have any suggestions, please let me know in the comments and I'll do my best to oblige.